OCEAN VIEW’S baseball team has a big lead in the Golden West League race (Shutterstock). April’s here and we’re headed into the halfway mark – or further – of some local high school baseball and softball races. Here’s how things look as the week begins. Empire League baseball:Tustin and Cypress are battling for the lead with 2-0 records and will meet on Wednesday. Pacifica is in fifth place (1-3 in league, 7-11 overall). Empire League softball: Pacifica and Kennedy are tied for first place at 2-0. The Mariners are 5-0-1 overall, and JFK is 12-3. Garden Grove League baseball: Loara (8-0) continues to hold a half-game lead over Rancho Alamitos (8-0). La Quinta (5-4) is in third, followed by Los Amigos (2-6), Bolsa Grande (2-7) and Santiago (1-7). Garden Grove League softball:Unbeaten Santiago (16-0 overall, 8-0 in GGL) has a half-game edge over Loara (3-1, 8-4). La Quinta (2-2) is followed by Rancho Alamitos (2-2), Los Amigos (1-3) and Bolsa Grande (0-3). Golden West League baseball: Ocean View (9-0 in league, 14-9) pretty much has the GWL title locked up. Battling for second are Segerstrom (6-2) and Garden Grove (6-3). Westminster’s in fourth at 3-7, while Western is fifth at 1-7, tied with Godinez (1-7). Golden West League softball:Godinez (5-0 and 13-3) leads the pack, followed by Segerstrom (3-2), Westminster (3-2), Ocean View (2-2), Garden Grove (1-4) and Western (0-4). Orange Coast League baseball: Costa Mesa (7-2, 9-6) leads the OCL with Orange (6-3, 9-10) a game back. Orange Coast League softball:Calvary Chapel (3-0, 8-4) is atop this league, with Orange (0-3, 0-17) in last. Sunset/Surf baseball: Huntington Beach has the edge with a 3-0 league record (14-4 overall). Edison (3-2, 12-7) follow with Los Al (2-4) and Fountain Valley (0-4) behind. Sunset/Surf softball:Marina (3-1 in league, 14-5 overall) is tied for the lead here with Los Alamitos (3-1, 11-3). Edison (3-3, 14-7) and Huntington Beach (3-5, 10-6) follow. Sunset/Wave baseball:This is a tight race with all four teams within a game of each other. Marina is tied for first at 3-2 with Laguna Beach (3-2). The Vikings are 14-7 overall. Here are this week’s CIF-SS spring sports rankings involving local teams, as posted on Monday. Division 6: Santiago (first), Westminster (third). Division 4: Garden Grove (received votes). 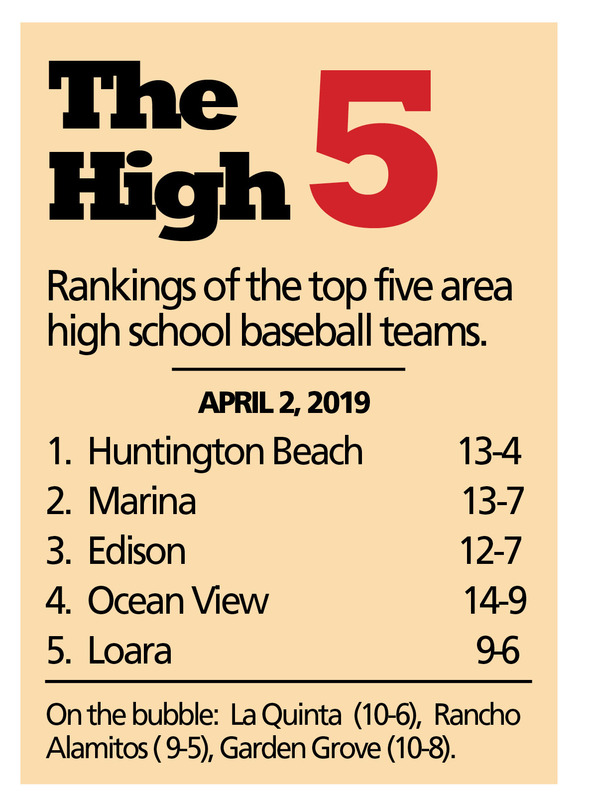 Here are our High Five rankings for local teams (serving Garden Grove, Huntington Beach, Stanton and Westminster) baseball and softball. 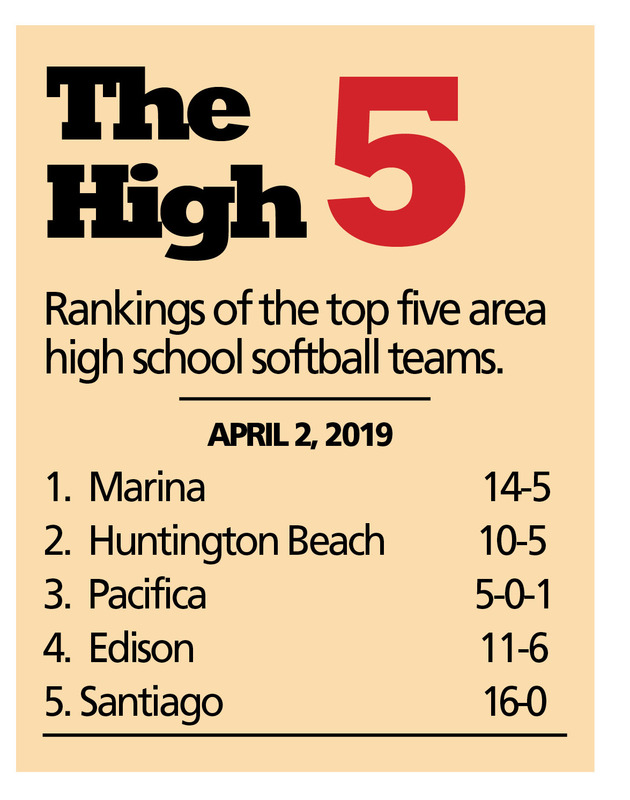 As you’ll see, Huntington Beach (13-4) remains atop the baseball list and Marina (14-5) is the top team on the softball ladder. Yes, you can be a standout by sending sports results to The Tribune e-mailing scores, stats and team records to us at orangecountytribune@gmail.com. Please send your stuff as soon after the game or match ends and when mentioning people, kindly give the first and last name. And if you have photos – mug shots or action photos – you’ll be a superhero by sending them in jpeg format to the above address. 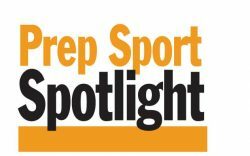 Prep Sport Spotlight is posted on Tuesday’s during the high school athletic year.